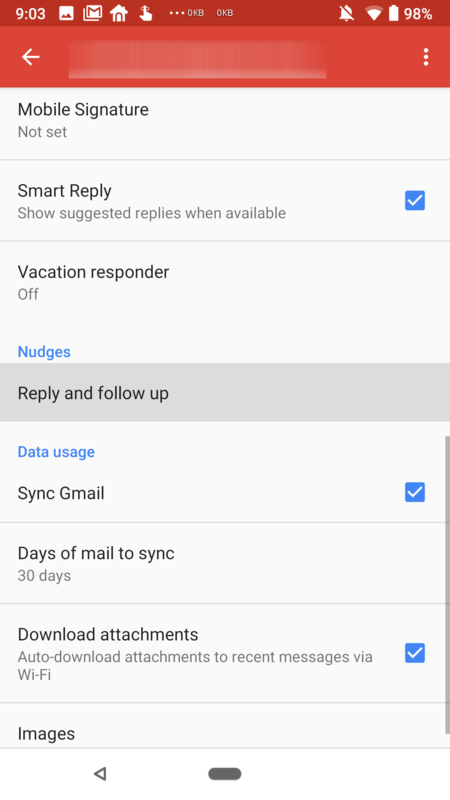 A couple of days ago, the nudge functionality went live in Gmail on the web for those who had enabled the updated Gmail design. Now we can see the feature on our phones too. To be honest, we're not sure if the option went live at the same time as the web, but it just came to our attention now on mobile. This seems to be a server-side update as we can see it on both Gmail 8.4.22 and the older 8.4.8, though it wasn't there before. 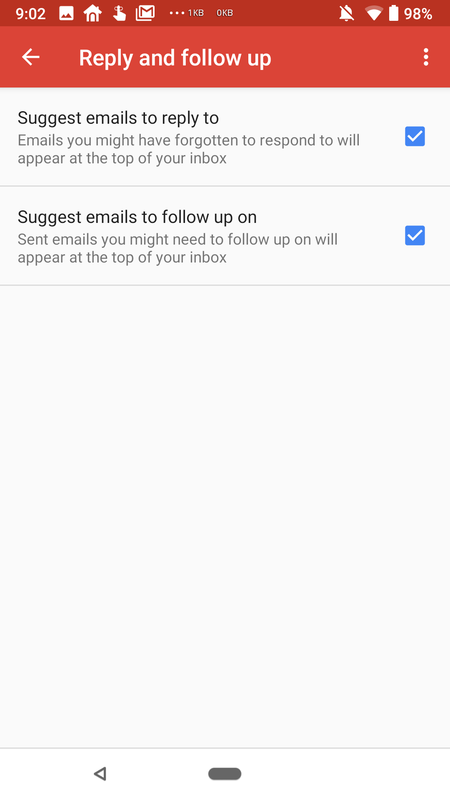 You can find the setting under your email address by scrolling down to Nudges and tapping Reply and follow up. 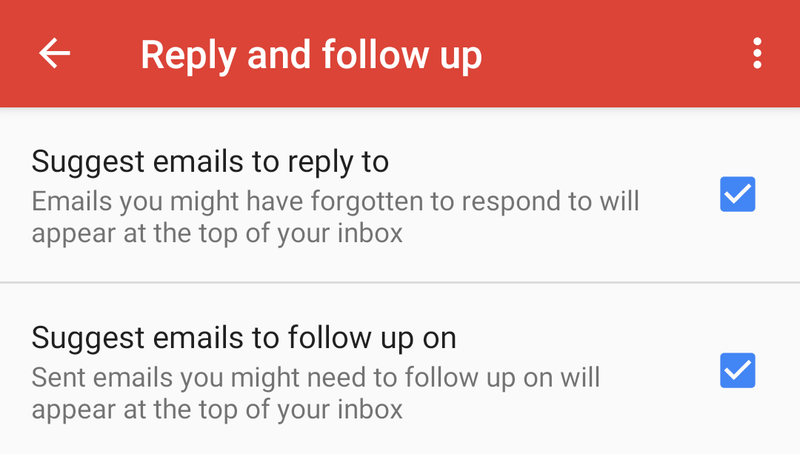 There are two options to enable if you want Gmail to remind you both to reply and follow up on emails. Cody had already seen signs of these settings in his teardown of Gmail 8.2.25. 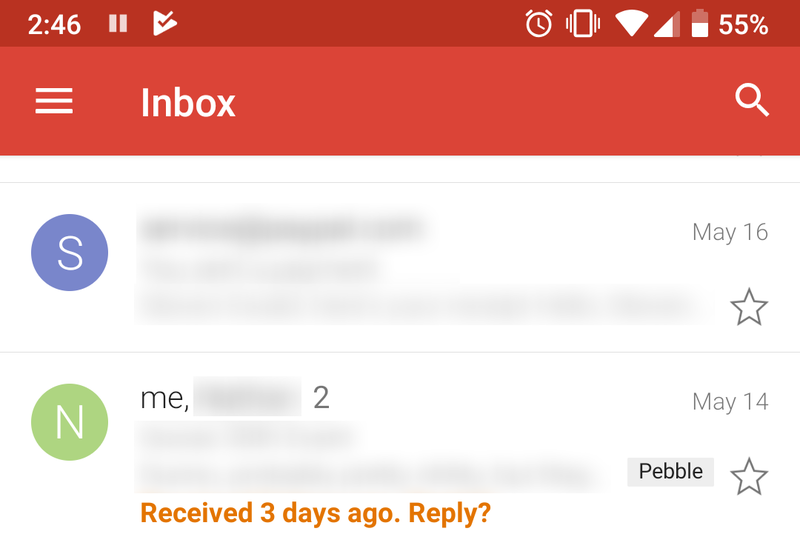 Although I have both options turned on and a lot of older emails I never attended to, I still don't see any nudges in my inbox. Maybe the setting is live but the functionality itself isn't working yet, or maybe Gmail has given up on me doing anything about these old emails.